Affectionately referred to as their “Boxing Day Baby”, the wee pygmy hippo male was a doubly exciting surprise for the ZSL Whipsnade Zoo. 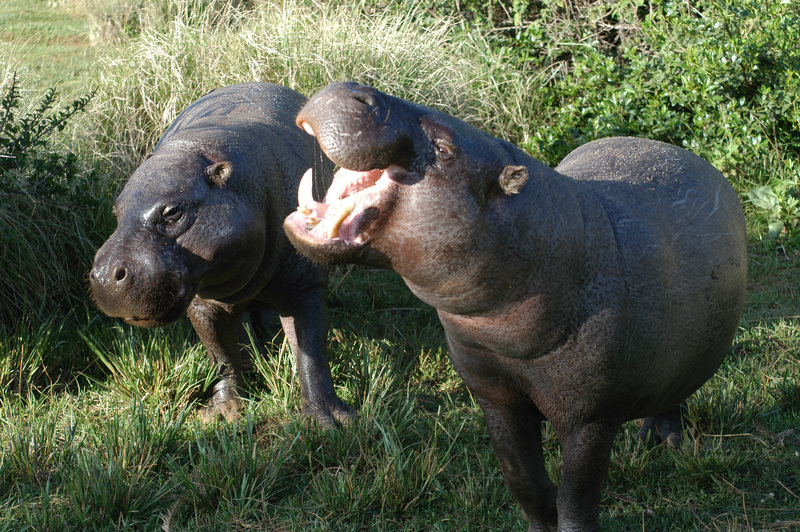 First, 28-year-old mother hippo “Flora” has been battling cancer. Specifically a tumor in her mouth. Fortunately, she’s responded well to therapy and maintained god health throughout the pregnancy. The new male is her third calve and already she is demonstrating the caring attentiveness she showed her previous young. Secondly, the male calve is a much needed addition to a very endangered species. Choeropsis liberiesis, the particular subspecies of the new baby pygmy hippo, has had it’s natural population critically threatened due to deforestation in their natural range along the western coast of Africa. Another subspecies, C. l. heslopi, may already be extinct. Read more about the ZSL’s new addition at ZooBorns and ZSL’s home website. Additional background information about pygmy hippopotami habitat and endangered status can be read at ARKive. Enjoy more Good News Review by following us on Twitter @tgnreview!